This week we celebrated our 9th birthday at Reward Gateway, marking the beginning of our tenth year in business. That’s right, our fantastic #RGDecade has begun! Where has the time gone? We thought it was a fantastic opportunity to celebrate with our staff, our customers, and to look back and reflect on how far we've come. Here are some of our favorite examples of how the world’s biggest brands have marked their special occasion, and the impact it had for their brands. 1. Celebrate your birthday through the power and beauty of your own product. Apple celebrated the 30th anniversary of the Mac by creating a video shot entirely from its legendary iPhone. In just one day, footage was captured by employees around the world showing how different people use Apple products to enhance their lives. They certainly lived up to their promise of putting technology in the hands of the people. 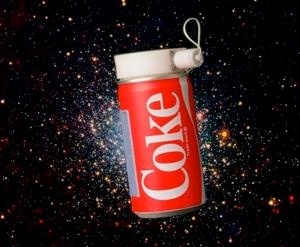 Did you know that in 1985, Coca Cola became the first soft drink ever in space? Well you would if you saw the ‘fun facts’ campaign they launched to celebrate their 125th. They presented their fun facts in a cool infographic making the information fun, easy to digest and shareable. No doubt adding to to the 90 million Facebook fans they already have! 3. Share the brand birthday spirit with your customer. If you’re on Facebook, you won’t need reminding of the campaign they launched in 2014 to celebrate their 10th birthday. Remember those personalised ‘Look Back’ videos that clogged up your wall for weeks on end? What a genius way of tying in the reflective mood we feel every year on our birthday and encouraging that same time for reflection to their customer with these videos. They didn’t do a bad job of reminding us about how much and how long we’ve used their platform either! 4. Use it as an opportunity to get creative and have some fun with your staff. After all, it’s unlikely you would have got as far without them, so it seems only right your people share in the birthday fun! When JetBlue celebrated its 12th Birthday, crew members across the company got involved in a cake competition, doing their best to outdo each other with some very creative JetBlue inspired birthday cakes. What a great way to bring a team together, encourage some friendly competition and set off a social campaign that’s sure to see your brand flying all over the web. 5. Use it as an opportunity to allow your customers to get creative. 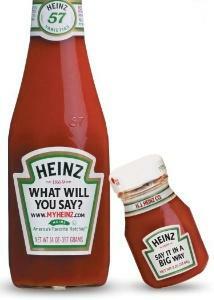 For their 130th birthday, Heinz decided to help their customers add a special touch to their own celebrations by creating the myHeinz "What will you say?" campaign. By visiting their website, customers can create their own witty, sentimental or celebratory message on the iconic Ketchup bottle, for the ultimate unique party favor or personalized gift. 6. Pledge your company birthday and help to change the world! On September 9th, 2006, Scott Harrison threw a big party to celebrate his 31st birthday and the launch of charity: water. He invited all of his friends and charged $20 at the door. That night, he raised $15,000 for clean water projects. charity: water sent the money to a refugee camp in Northern Uganda, and 100% of it was used to build three new wells and fix three broken wells in a place with 30,000 displaced families and almost no clean water around. All of the sudden, the lives of people halfway around the world got a little bit better. Scott knew he was on to something: he believed birthdays could be used to solve the water crisis. Everyone has them, and people have them every year. What if each person we knew gave at least one birthday to help end the water crisis? About 17,000 people have celebrated their birthdays with the charity now, and together they’ve raised nearly $9 million for clean water projects through birthdays alone. Now that’s pretty cool! 7. New year, new brand? Turning 40 meant changing things up for Starbucks. They celebrated its rise from a single Seattle store to a chain that serves 60 million customers a week by unveiling a new logo. But that's not all, they also introduced a revamped product range including a new, limited-quantity coffee blend called Tribute, cake pops, red velvet whoopie pies and mini cupcakes. Yum! 8. Use it to take people back to where it all began. Whether it’s for your employees or your customers, sometimes it’s good to give people a gentle reminder of how you started in the first place. Foster’s used their 125th birthday as a chance to do just that by building a TV ad that recreated the moment in Melbourne in 1888 when the lager was first introduced to the people of Australia. 9. 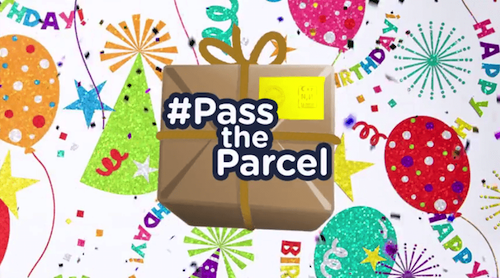 How about a global game of pass the parcel featuring challenges, sweets and Tweets? This is how we celebrated our 9th company birthday. All of our staff got together at 1pm local time in offices around the globe to share some party snacks. We took everyone back to their childhood by asking them to bring in their favourite retro party treats that they would have had when they were 9 and played a giant version of pass the parcel with dares and challenges that were shared across our social media platforms so it was really global.